Ink on illustration board. The drawing is about 4" x 6" on 5 1/4" x 7 1/2" board. 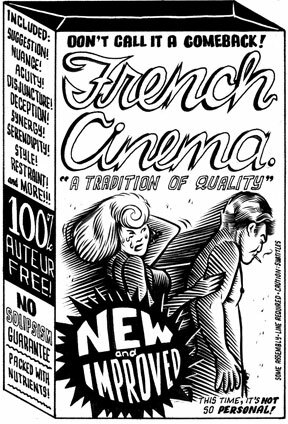 This was for some story about French movies that caused a bit of a stir and this illo was reprinted in several French newspapers.